Junior’s Wrecker Service is a family owned and operated commercial towing company. Robert Foreman, owner/ operator, is a second generation auto service professional. 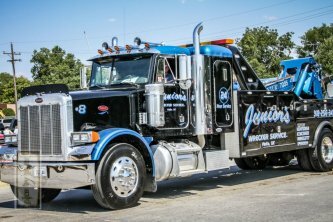 Juniors Wrecker Service is a family operation with owner Robert and sons, Derieck and Bobby, working side by side. Our mission is to provide timely and efficient service in a professional manner at a reasonable cost. Junior’s Wrecker Service has been serving the Craig and Grand Lake area for more than 30 years. Junior’s Wrecker Service provides quality service, twenty-four hours a day, seven days a week. Our philosophy is to have the best equipment in order to attract and retain the best employees and customers. 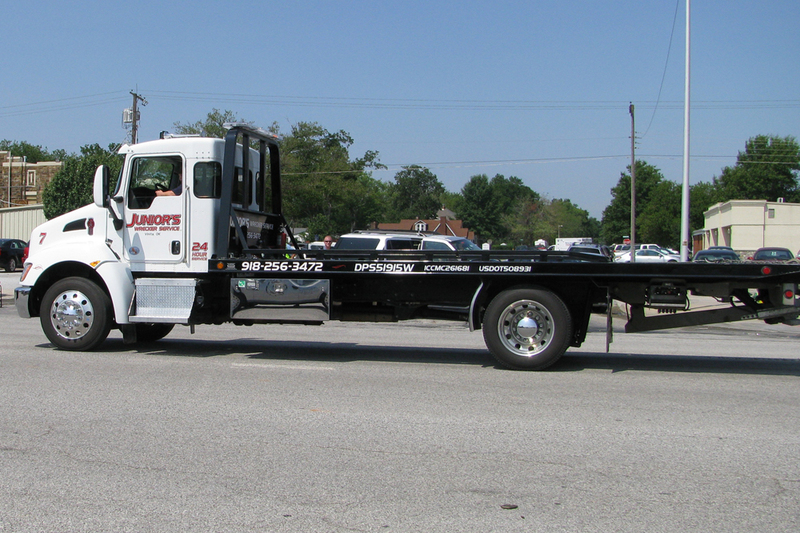 Junior’s Wrecker Service has constructed the most experienced staff of qualified towing operators in Craig County. Our operators have years of experience in the towing industry. All of our wrecker operators are friendly and courteous. Junior’s Wrecker Service offers a wide array of services to all of our customers including breakdowns, accidents, dealerships, Motorclubs on/off of the Will Rogers Turnpike and other types of equipment as well as lockout service, and jump starts. JR’s Wrecker Service also specializes in medium and heavy duty towing and recovery services including towing, rollovers, winch outs, pull starts, load shifts, trailer shifts vehicle transport. Local and long distant services are available 24/7. JR’s Wrecker Service offers the most professional service with the most experienced staff to ensure quality and excellence to our customers. We are conveniently located near Vinita, Oklahoma on Hwy 66 close to 69 junction.